Employees from the district's maintenance, police and transportation departments recently participated in a blood and bone marrow drive, in partnership with the Gulf Coast Regional Blood Center. Seventy-four units of blood and 13 bone marrow donors were collected at the end of the day in honor of four-year-old Rorie Joslin who has a rare blood disease and is being treated at Texas Children's Hospital. 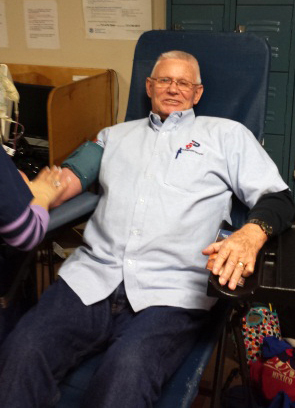 The transportation department hopes to hold additional blood drives in the future.